Since its introduction in 1948 Land Rover has established a strong following and now has a fan base around the world. If you know someone who owns a Land Rover or is just interested in the vehicles, and you are stuck for what to buy them as a gift, why not treat them to one of the many Land Rover models online stores offer? The range of Land Rover models online covers many different vehicles, and they come in a selection of sizes, so there's something to suit all tastes and budgets. The smallest 1:76 scale models are the same scale as OO gauge model railways, so they make a great gift for model train enthusiasts too. In this size you can get the earliest Series 1 cars, the Series II, the Defender, plus modern versions like the Range Rover Evoque and Discovery Sport. 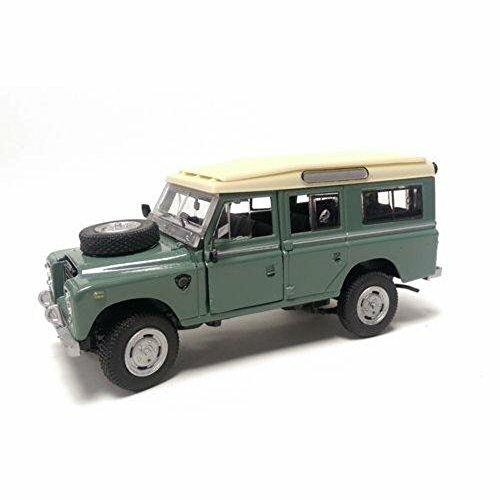 Some of these are available as individual models, but you can also buy them as gift sets covering a particular era or spanning the years and showing the development of the Land Rover. If you want something a bit bigger that can be displayed on a mantelpiece or in a bookcase, the classic Series I is available as a 1:43 scale model in the form of HUE166 - the first Land Rover ever produced in 1948 and now kept at the British Motor Museum - with its distinctive pale green paint and canvas tilt. Bigger still is an impressive 1:24 scale Defender, finished in white with opening doors and bonnet that would look great in any Land Rover fan's home. If you have some junior Land Rover enthusiasts in the family, there is also a 1:38 pull-back model of the Defender available that they will love to play with - it will easily cope with the harsh off-road terrain of the lounge carpet.